March 25th marked the inaugural meeting of the first All-Party Co-operative Caucus on Parliament Hill. Members of Parliament and Senators from all political parties were invited to attend and 20 attended this first meeting. The purpose of the All-Party Co-operative Caucus is to discuss and support policies directly affecting co-operative enterprises. The objectives of the All-Party Caucus are to promote the co-operative movement, to contribute to its development and to facilitate exchange and dialogue between parliamentarians and the co-operative sector stakeholders. 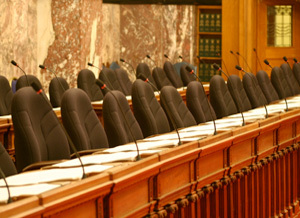 The Caucus hopes to hold its second meeting on Wednesday May 7, 2014 chaired by Madame LeBlanc and the third meeting on Wednesday June 4, 2014 chaired by Mr. Bélanger.